Mongey Communications can provide complete Event Production and Broadcast Services. 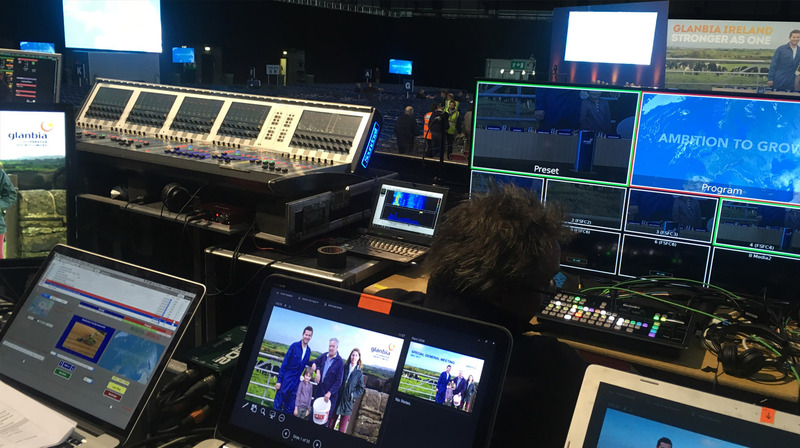 From a straightforward single feed playout, to a fully-featured event broadcast solution, we have the skills and knowhow to help you broadcast your event to a wide-reaching audience. Keep your audience entertained with one of our large LED screens and utilize the chance to advertise your brand on-screen as well. You can also offer the space to third-party sponsors to promote their brand and raise additional revenues for your business. 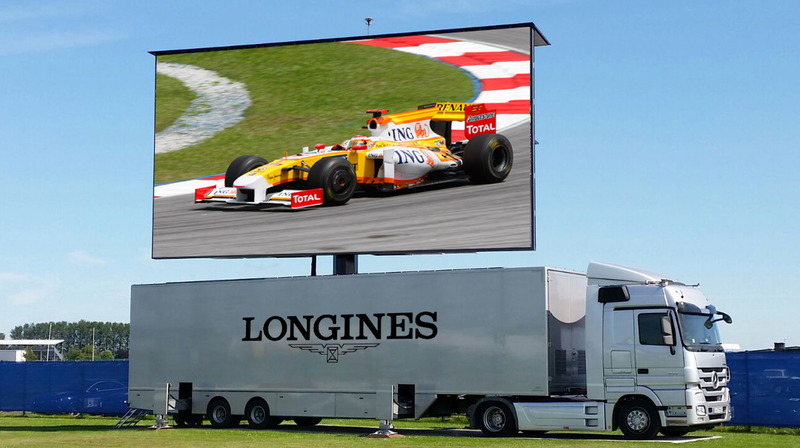 Our trailer screens also present excellent branding opportunities – your brand or your sponsor’s can be printed and mounted onto the trailers to provide additional visibility during your event. 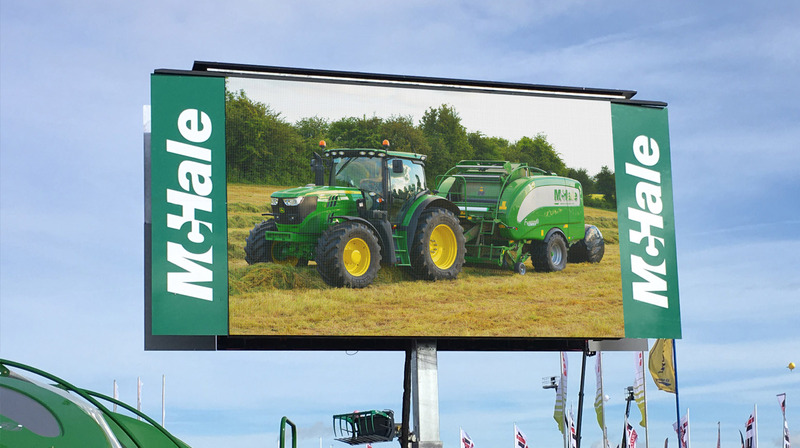 To ensure your brand is always visible to your audience, even while they are viewing content on our large screens, your brand can be printed onto a purpose-built screen-surround. This ensures that your brand is ever-present and can be done in novel ways to maximise its effect. 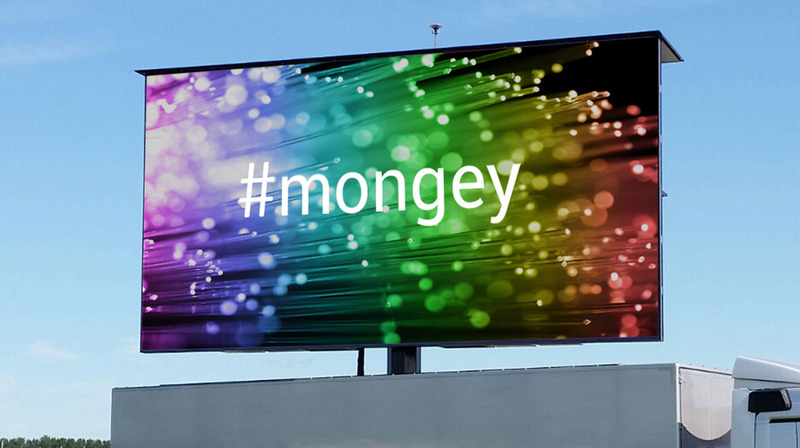 Mongey Communications can help you drive engagement with your audience using large screens to integrate social media into your next event. Your chosen social media platforms can be displayed on a screen wall to show live content from your audience, while still allowing you full control over what is displayed or not, as you filter the posts and comments from your laptop or device. 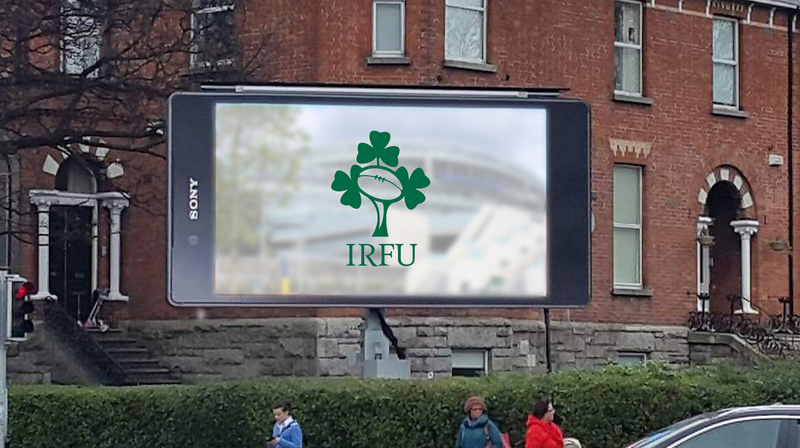 We can also incorporate your branding or your sponsor’s branding into the social media screen wall so that it is always visible to your audience.